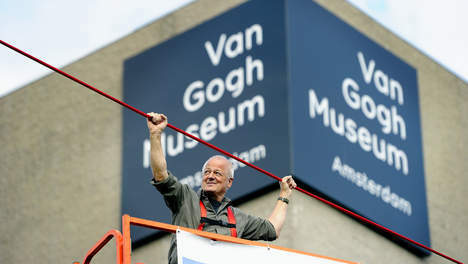 The collection held at the Van Gogh Museum (VGM) will be relocating temporarily to the Hermitage Amsterdam in preparations for the museum’s renovation project. VGM has gone one step further and created an interactive tour from its facility to the new temporary home of the collection, entitled “The Van Gogh Mile”. The tour features a route designed by artist Henk Schut complete with sound installations, a literal red mile, and an interactive app. Click here to learn more about “the Van Gogh Mile” from the Van Gogh Museum website. Click here to read more about the relocation.